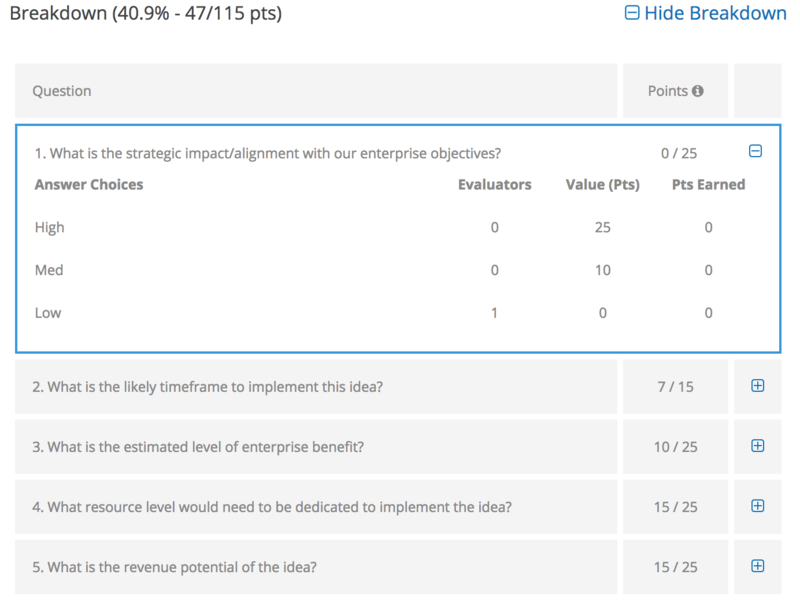 The Evaluations tab displays evaluation results to submitters and team members on the View Submission 2.0 page. This tab allows Administrators and Sponsors to close the loop with the user base who participated in their challenge and will give transparency into the evaluations of each submission. There are multiple ways to access the Evaluation Results for submissions. The first way is to navigate to the View Submission page on the front-end and click on the Evaluations tab. Alternatively, you can navigate to the Evaluations Results from the back-end. When viewing your Pipeline in the Step View, you may see a score to the right-side of individual submissions which indicates the Evaluation Result. If you click on View Results, it will navigate you to the Manage Step page where you can access the evaluations for your submission. When configuring your Step within the back-end Pipeline, you will see an 'Evaluation Results' section under the Advanced Settings. From here, you have the option to extend visibility to Submitters, Evaluators, or all Users. There are also options to "Make evaluators anonymous" and to "Send submitters a notification when evaluation results are ready"
Note: If you don't want to expose the evaluator's user information to your submitters, please make sure to enable the anonymous option! The notification option will display a notification within the Global Navigation notification's icon. The first metric displayed is a summary of the evaluations showing the "Overall Score", "Percentile of Submissions" and "Evaluations Completed". Overall Score: This is the average scorecard score this submission received based on the evaluator results. Percentile of Submission: This show the percentile the submission ranks compared to other submissions that had gone through the same step. Evaluations Completed: Shows the number of evaluation completed over the total number of evaluations which have been assigned for the submission. Note: Long and short answer types will display but there will be no points associated with each answer.